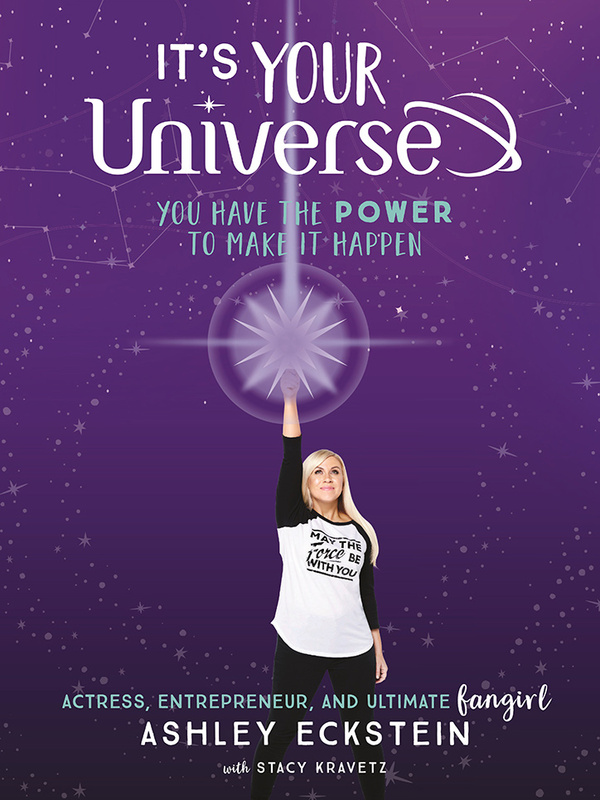 It's Your Universe - Interview with Ashley Eckstein + GIVEAWAY! | YAYOMG! NOTE: An advanced copy of It’s Your Universe was provided to us by Disney Publishing, and they are partnering with YAYOMG! for a giveaway. Giveaway details below. Even if you don’t know Ashley Eckstein by name, you most likely know her work. From voicing the first lead female Jedi in the Star Wars universe to building her own fangirl fashion empire, Her Universe, Ashley has always done everything she can to lead the charge and inspire girls and women everywhere. 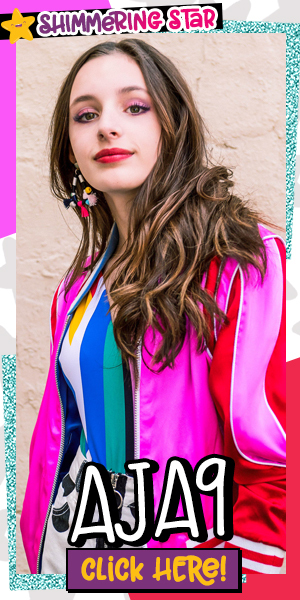 With her new book, It’s Your Universe: You Have the Power to Make it Happen, she’s continuing that journey and using her own personal story and love of Disney to empower girls to dream big and give them the confidence they need in order to make those dreams come true. Ashley has often said that she “Grew Up Disney,” and this book not only shares her story, but shows you how you can draw inspiration from Disney princesses, Jedi, and superheroes to make your mark and start your journey towards following your dreams and achieving your goals. 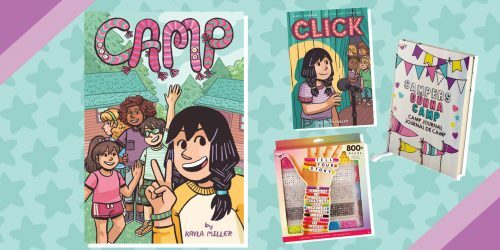 We also teamed up with Disney Publishing to give away a copy of this empowering new book, so keep on scrolling for how to enter! We had the pleasure of chatting with Ashley about It’s Your Universe, the challenges she’s overcome throughout her career, and how YOU can use Disney magic to make your dreams come true! For our readers who might not know, do you mind sharing a little bit about Her Universe and your inspiration behind starting the brand? 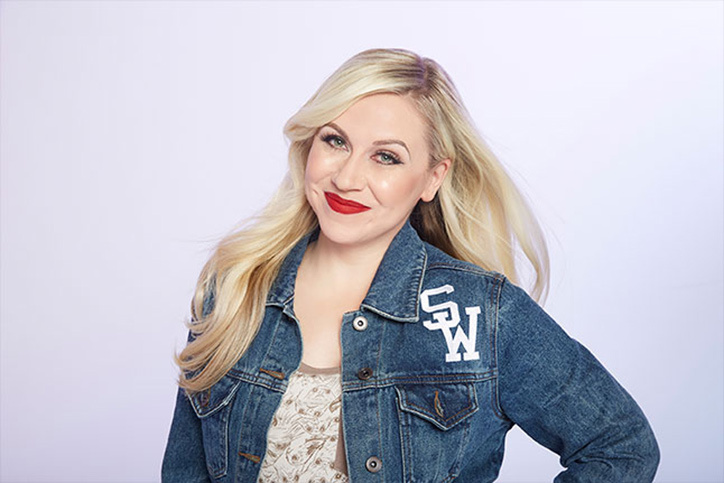 ASHLEY ECKSTEIN: I am most commonly known as the voice of Ahsoka Tano from Star Wars. I’ve been doing the voice of Ahsoka since 2008, and I’ve been a Star Wars fan my whole life. In 2010, I started my own apparel company, Her Universe, because there was no Star Wars merchandise being made for female fans and I wanted fashion for fangirls. I knew that I wasn’t alone because half of all sci-fi and fantasy fans are women and girls! I started making Star Wars t-shirts for fangirls, and now we make all different types of products like dresses, activewear, accessories, bags, shoes, make-up, and now books! What is the biggest challenge you’ve faced as a female entrepreneur? ASHLEY: One of the biggest challenges I faced was people not believing in me. I was constantly told “no,” and people were always underestimating me. I always had the odds stacked against me, and I constantly had to prove myself. I had to believe in myself when, at times, it felt like no one else did. Your book, It’s Your Universe, is about how the magic of Disney has been the source of a lifetime of inspiration for you. What is it about the world of Disney that you find so magical and inspiring? ASHLEY: Disney is so magical because it represents hope. Disney represents a belief that anything is possible, even the impossible is possible! Whether I’m at a Disney Park, watching a Disney movie, or reading a Disney book, I’m constantly inspired to dream big, because the world of Disney taught me that when you wish upon a star, our dreams can and do come true! If you could dream up your own Disney Princess, what qualities would you give her? ASHLEY: The funny thing is that I think about this all the time. I am constantly thinking about the Disney Princess I would want to create! If I were to dream up my own Disney Princess she would be a mash-up of my Star Wars character Ahsoka Tano and the Black Panther character Shuri. She would be a fierce warrior and also a brilliant scholar. She would be confident yet humble, positive yet realistic, and she would always strive to do what is right. In Star Wars: The Clone Wars and Star Wars Rebels, you voice Ahsoka Tano, the first female Jedi in the Star Wars universe. What has it meant to you to voice a character who empowers girls in the same way that Star Wars was inspiring for you? ASHLEY: It’s been a dream come true and an honor to be the voice of Ahsoka Tano. 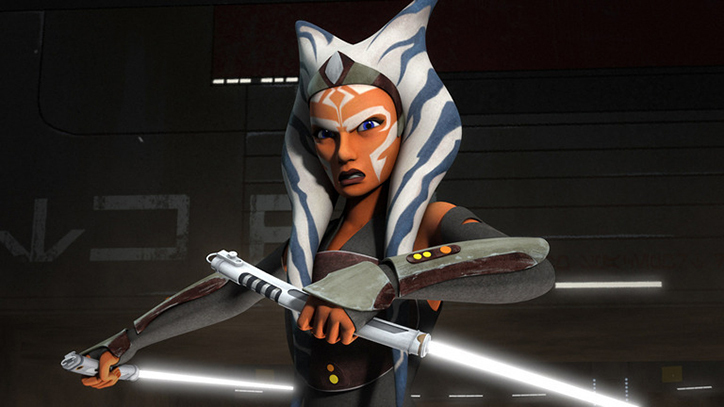 Ahsoka was the first female Jedi that was a lead character in the Star Wars Universe. When she was introduced to the world in 2008, she represented change and made the Star Wars Universe more inclusive. Ahsoka allowed girls to see themselves as a Jedi just like I was able to see myself as a self-rescuing princess with Princess Leia. In It’s Your Universe, you ask girls to begin jotting down ideas for their Dreams Come True Action Plan. What were some of the thoughts and first steps on your action plan? ASHLEY: The most important thing to do on your journey to make your dreams come true, is to break your goal down into small steps. If you look at your dream as one giant step that you have to take, then you will fall short. However, if you look at your dream as a bunch of small steps that you have to take, then your final goal will begin to seem a lot easier to achieve. I choose to take things one day at a time and one step at a time, and then I celebrate when I complete a small step. You have to take a moment to celebrate your accomplishments and your journey. What is the most valuable lesson you’ve learned throughout your career? ASHLEY: The most valuable lesson I’ve learned in my career is that it’s OK to fail. I fail and mess up all the time, everyone does! With social media, we are often applauding perfection and we barely ever see or hear stories of people embracing failure. 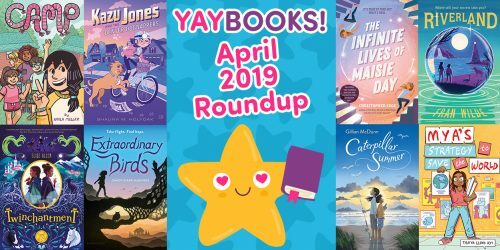 I want to tell the readers of YAYOMG! that it’s okay if you fail. The most valuable lessons I’ve ever learned are those when I’ve failed. You are never going to be perfect every time! Just make sure to learn from your mistakes. That’s how you will turn a failure into a success! What advice can you share with our YAYOMG! readers? 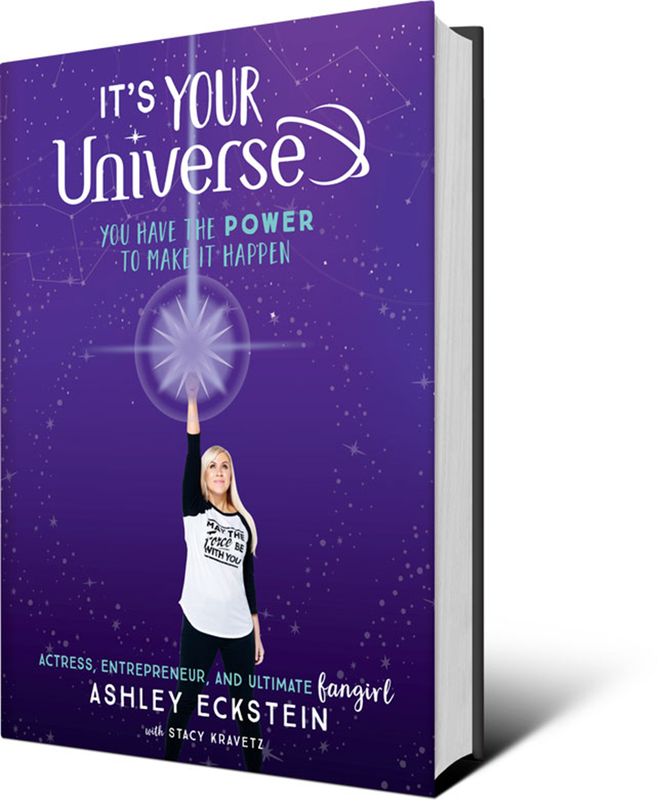 – ONE (1) lucky winner will receive a copy of It’s Your Universe: You Have the Power to Make it Happen by Ashley Eckstein with Stacy Kravetz. Prize generously provided by Disney Publishing. Get permission from your parent or guardian and head to Instagram and complete the following steps by May 23rd. 3. Post a comment about how what inspires you most about Disney. Giveaway begins on May 16, 2018 at 01:00 pm ET and ends on May 23, 2018 at 11:59pm ET and is open to US residents only. – You must be 18 or older to enter. If you are under 18, you’ll need to get permission from your parent/guardian to enter and again if you win. *If selected as a winner, we will provide you with an affidavit to confirm that you are a valid winner who has permission to win. You will need to sign and return this affidavit in order to claim your prize. Entrants under 18, your parents will need to sign and return this document granting permission for you to win before we can send your prize. This step is non-negotiable and required to claim your prize. Be sure to read the fully detailed rules HERE before entering. Want to get to know some amazing girls who are following their dreams every day? Click here!